My Paper Trove: Taylored Expressions October Sneak Peeks: Sunflower Bouquet! Taylored Expressions October Sneak Peeks: Sunflower Bouquet! Hi there! It's day 2 of the Taylored Expressions October Release Sneak Peeks! 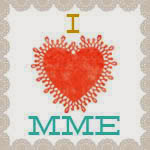 I just love all the new stamps, especially this one! 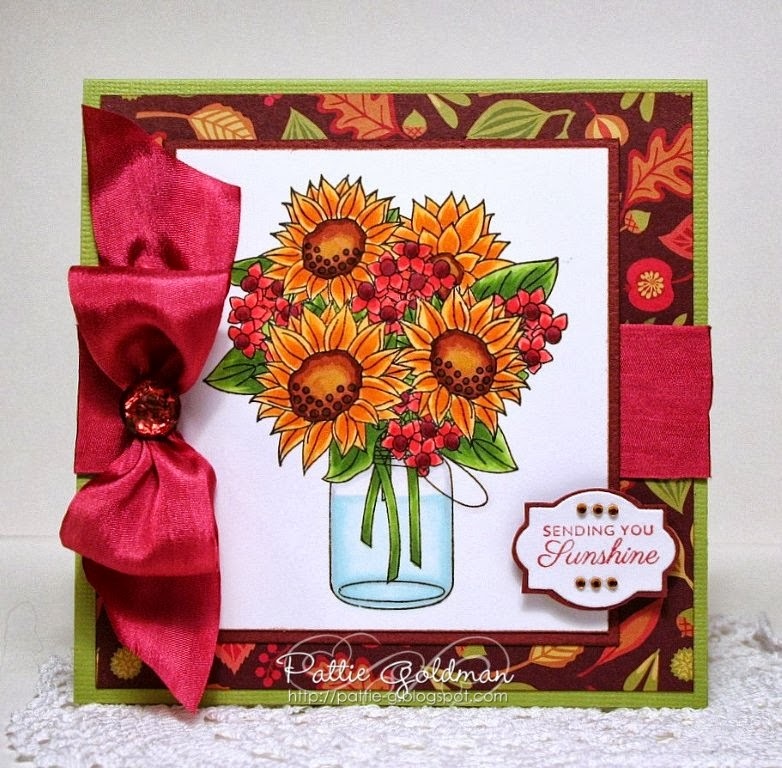 Today, I am sharing my card using a beautiful new bouquet set called Sunflower Bouquet! I'm not usually a fan of sunflowers...not sure why, just never was, but this set has changed my mind! My birthday is in October and so I usually get bouquets containing sunflowers or cupcakes in Fall colors, so I'm pretty used to it by now! I found a variety of sunflowers on Google images that had a bit of orange in the center of the petals and I loved it, so I just had to whip out my Copics and try it! 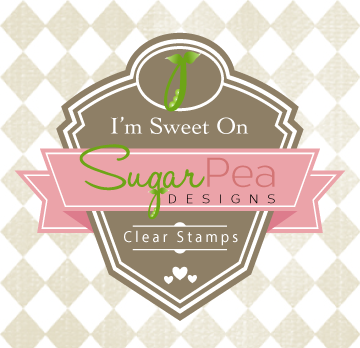 I added a satin ribbon and bow topped with a sparkly center gem and my sentiment which is cut out using one of the label dies from the Shopping Bag and Labels die set! Thanks for stopping by and come back again tomorrow for the October Release cards! This card is SO gorgeous and your coloring is divine! I might need to sit right in front of my computer and look at this while I attempt to color up these sunflowers! Funny - I know what you mean about not being a big fan of sunflowers, yet I do love this stamp set! Gorgeous, Pattie! Love your lovely sunflower bouquet, the rich colors and the big, beautiful bow!